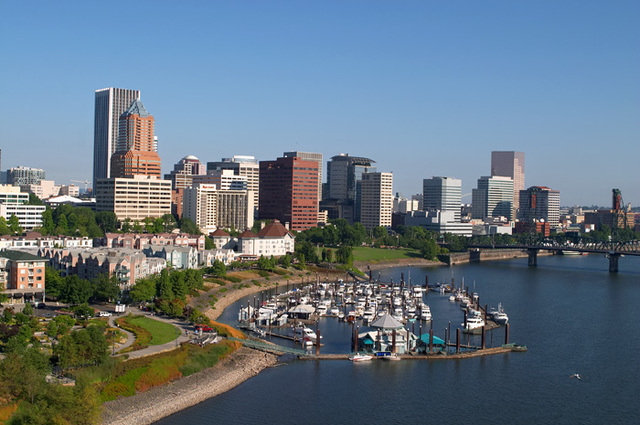 Located on the West bank of the Willamette river, downtown Portland has undergone a successful urban revitalization since the 1970s, and in the past decade alone there have been dozens of new buildings constructed, including townhomes, offices, and condominiums (1). 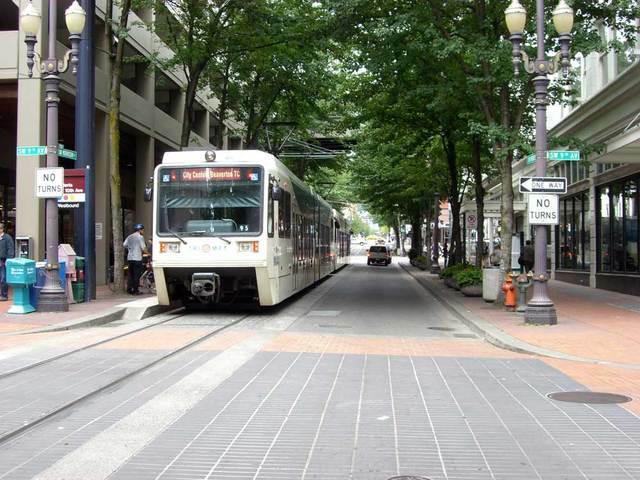 Downtown Portland is also the heart of the city, and so if you are seeking dining, shopping, or nightlife, then it is a great place to explore, with hundreds of independent retailers and excellent access to public transportation, including the well known fareless square where people can ride the bus lines for free. 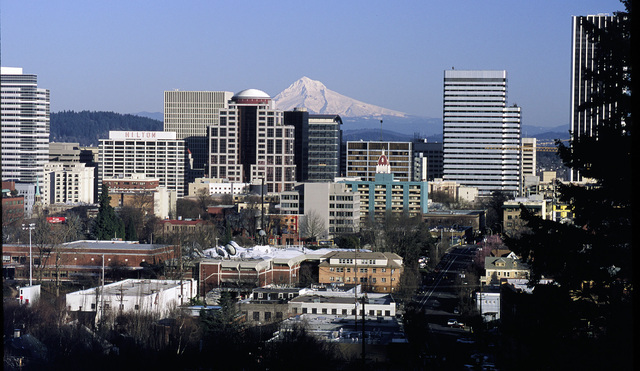 Scenic parks and plazas dot the downtown Portland cityscape. A personal favorite is the Tom McCall Waterfront Park that provides a 29 acre waterfront promenade from which to enjoy the beauty of the Willamette river and is notable for having been built on the site of a former multilane expressway. ther notable parks include the pair of North Park Blocks and South Park Blocks which provide basketball courts, playgrounds, and walking paths in the heart of the city. Besides the core neighborhood of Downtown Portland, the neighborhood of Old Town Chinatown is just North of downtown. Also, in January 2008 Downtown Portland joined the Neighbors West-Northwest neighborhood coalition which includes the following adjacent neighborhoods: Arlington Heights, Downtown Portland, Forest Park, Goose Hollow, Hillside, Linnton, Northwest Industrial, Northwest District, Northwest Heights, The Pearl District, and Sylvan-Highlands. 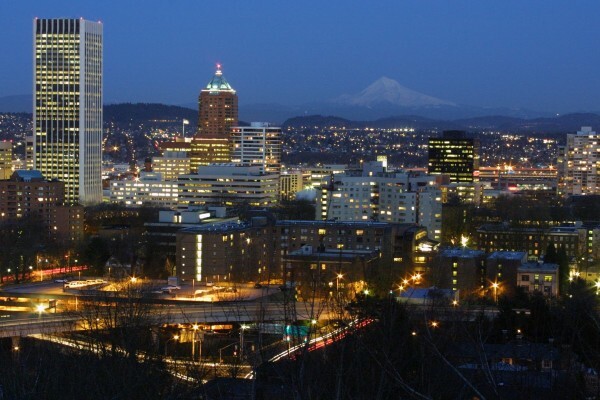 The Downtown Portland zipcodes are 97201, 97204, and 97205. 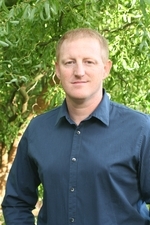 Click here to see homes for sale in Downtown Portland, Oregon.